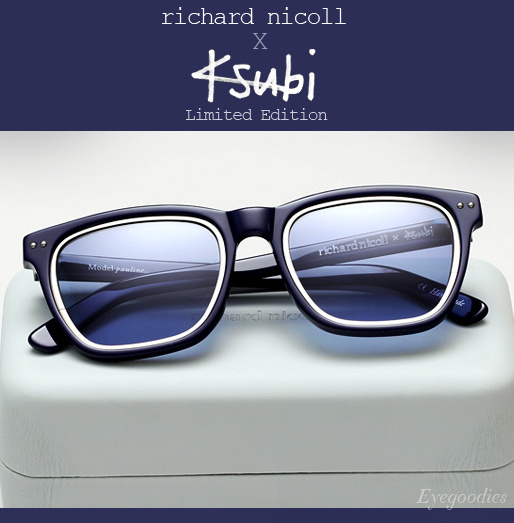 Ksubi Eyewear and world renowned designer Richard Nicoll join forces for a limited edition capsule collection for Summer 2013. Revisiting the success of their previous eyewear collaboration, the highly anticipated follow up yields a finely tuned collection of modern classics. Complimenting Nicoll’s acclaimed 2013 ready-to-wear collection, the six piece capsule incorporates a minimalist color palette of blue, grey and black, modernized with tonal lenses and contrasting high shine metals. Notable details and features include: sleek metallic outlines, industrial cut outs, and cool blue as well as mirrored lenses. These elements combined create a unisex range that is both streamlined and striking. 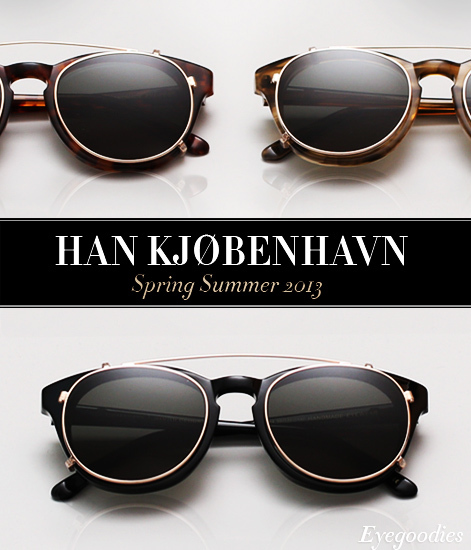 By way of Denmark, we present the latest Han Eyewear Spring summer 2013 collection. You won’t find anything overly complicated in Han’s lineup this season. Staying true to its fundamental guiding aesthetic , it’s all about giving us timeless, easily and universally wearable frames. Two new classic shapes join the Han family, a clean thinner silhouette named “STATE” and a chunkier squared-off frame, the “JANITOR”. In addition the popular “TIMELESS” model returns but this time with clip on lenses. The colors of the season include cool new acetates such as a unique monotone tortoise entitled “Snow”, or “Clear/Tortoise” which pairs a transparent front with tortoise temples. There is also a large expansion of Han’s beautiful and signature “Horn” and “Tiger Tortoise” colorways. 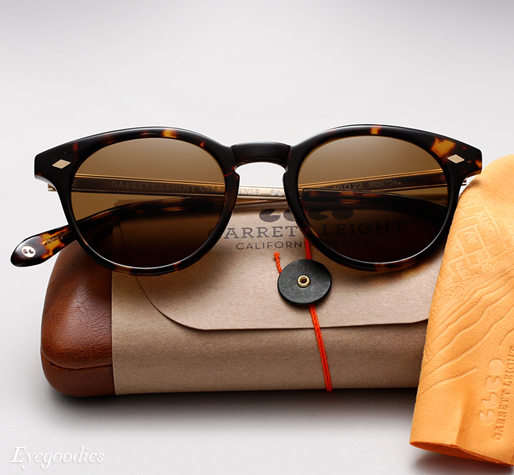 A meticulous blend of old-world and modern style,we’re pleased to present to you the Garrett Leight Ashland. A classic well-proportioned P3 design, the Ashland combines acetate and metal seamlessly into a single unique frame. It features antiqued metal temples with filigree detailing “inspired by the beautiful waves of the California coast”, as well as real riveted diamond shaped pins on the front. It is one of those styles that works equally well on men and women. It doesn’t try too hard and is adaptive to any occasion, dressed up or down, for a classic-cool style. Available both as a sunglass with glass lenses, as well as an optical frame in a variety of one of a kind colors, check it out below.